My Two New Tropic Faves. I was contacted by the lovely Alison from Tropic,* she is an ambassador for the brand. I do love a good girl boss, she works very hard to promote her products. She sent over the broacher to me to have a good look at all the products. She kindly offered me a few products to try out myself and if I enjoyed them to do a little review on my experience with them. Read on the find out how I got on with the products.. 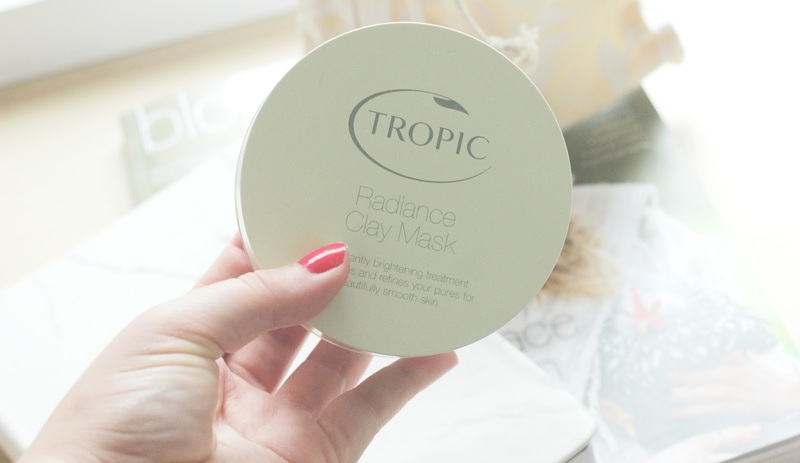 Lets start with the clay mask, now we all know if you have read my blog for years that I do love a decent face mask. I wear make up almost everyday to work so I enjoy a good skin care routine to keep my dry skin, spots in check. 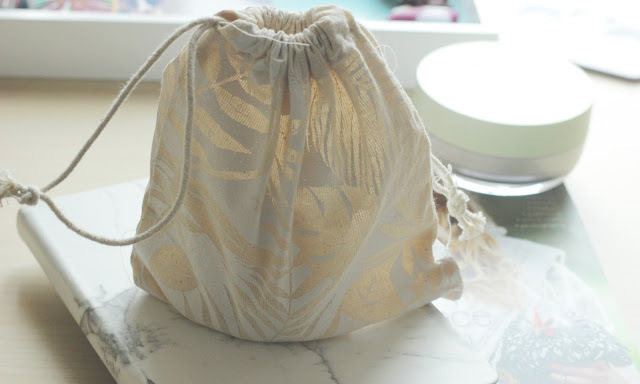 This face mask is in my top 10 fave masks I have ever tried, its all about the smell and how it feels on my skin. It works wonders on my dry skin and spots, it brings out all the dirt from my pores. 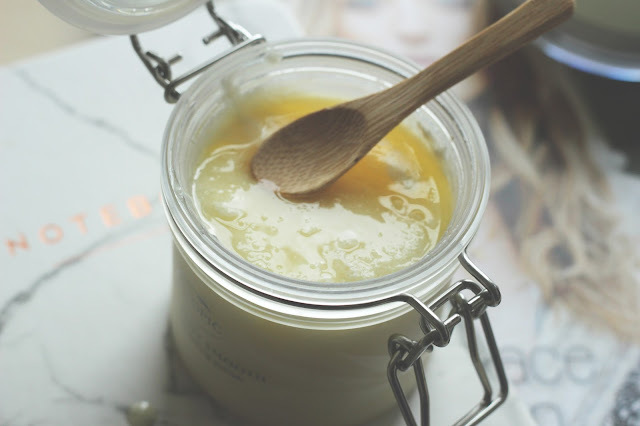 You apply a small layer onto your face, which helps to to dry and tighten. When you feel the tightening sensation on your skin it means that it is working on your pores, drawing out all the dirt. I personally love this feeling, when you wash the clay mask off your skin, it feels clean and ready for the rest of your skin care routine. The mask is infused with green tea, white clay, green clay and you can really smell the passion fruit seeds which is lovely. Now moving onto the body scrub, second to a decent face mask I love a body scrub. This one is like non other I have ever tried before, it is nourishing and leaves my skin clean and smooth. The creator of this body scrub first created it in her kitchen at the age of 15 in Australia, it reminds her of her home when she first sold it in London. It is inspired by the plant extracts and oils of her hometown Cairns, Australia. Now this is very interesting to me to know, it gives it a homely vibe to it, a lot of love going into a product. The packaging is what I was drawn to at first with the cute jar and the wooden spoon to help get the right amount of product out. You gently massage it onto dry skin, which is why I love it so much. It is gentle on the skin but it gives your skin a really good scrub, smelling amazing at the same time. 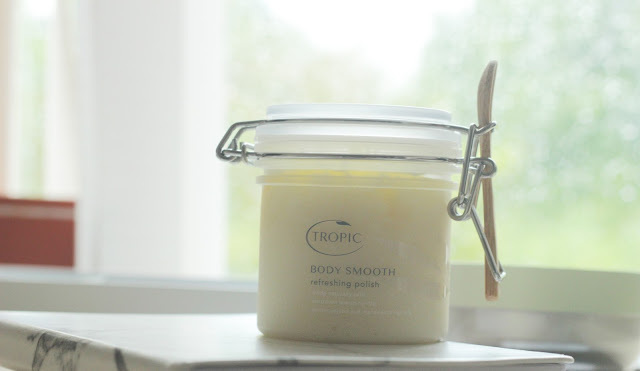 This body polish has a beautiful scent, a rich lemon scent with some amazing ingredients in to help nourish your skin. It has organic sea salts in to help exfoliate your skin, coconut oil which I am obsessed with in products and essential oils from Australia. 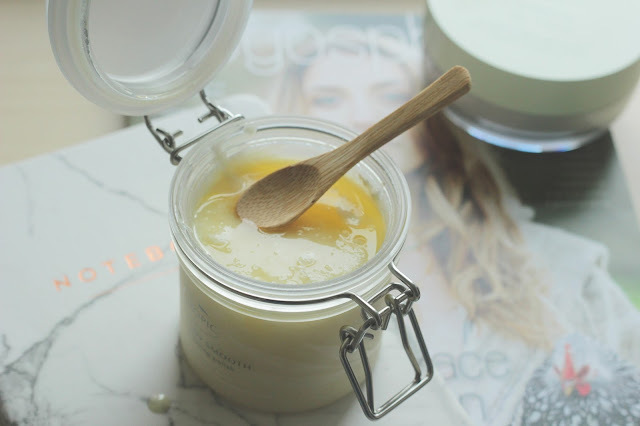 Overall it is an amazing body scrub that I have been enjoying using, if I could I would use it everyday but I want to keep it for pamper sessions because it is so special. I find that because it is so rich in oils my skin feels soft, smooth and looking its best. I think this would be an amazing product for Summer yet super indulgent to use in a hot bath for winter. As I type this I am sat in the clay mask, I best go wash it off now. These both sound so lovely! I love the little wooden spoon that the comes with the scrub too, it's a nice little extra.